After completing Lunar Songs, a project in which I wrote and recorded a song every month for a full year, I waited for the right moment to release them as a full collection. On March 21st, 2017 - World Down Syndrome Day - I released the songs in conjunction with the 3-21 Campaign. 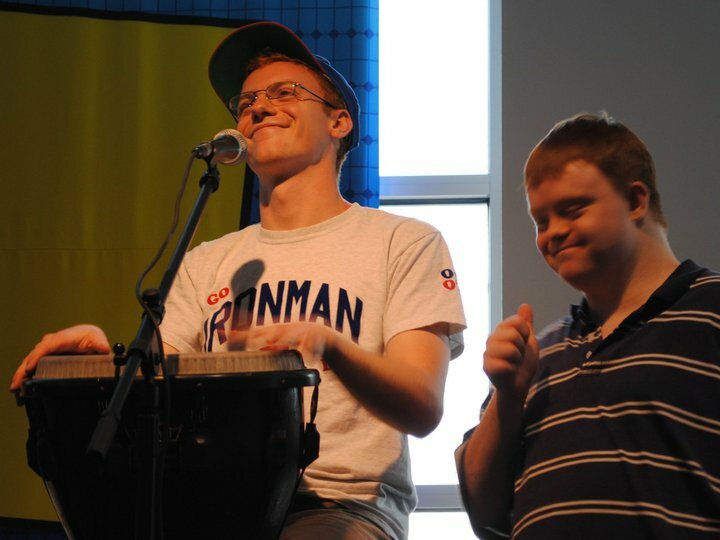 My goal is to use my music and to share my stories and experiences having a brother with down syndrome to foster a more empathetic and compassionate world. I will be donating 100% of profits from Lunar Songs AND any other Bandcamp sales until the end of APRIL 2017 to the National Down Syndrome Society (www.ndss.org). I have also launched a GoFundMe Campaign with other music related initiatives to donate to the NDSS! This organization raises awareness, supports families, and builds communities to help our society better accept and understand the potential of all people, including those living with down syndrome. I'm thankful to you for considering supporting my cause! 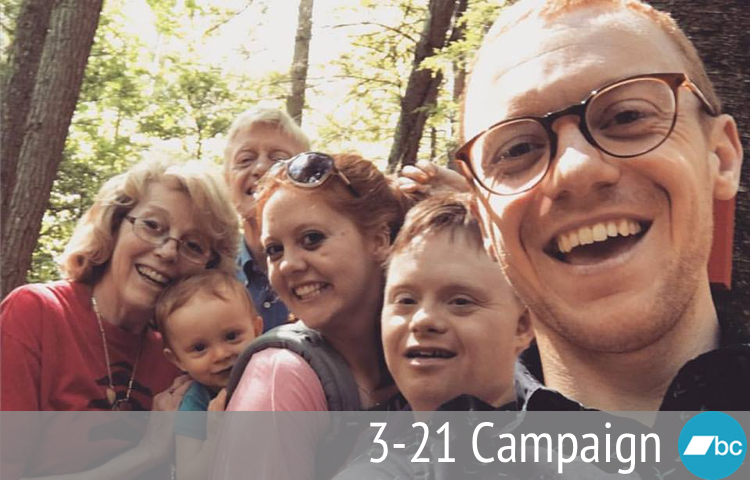 Click The Image Below to Donate to the 3-21 Campaign! Visit Bandcamp to download music! Visit GoFundMe for individual rewards! My older brother, Matthew, has taught me to be a more empathetic, patient, and kind person. As I've shared his story more in my role as both an educator and musician, I've come to realize the importance of advocating on his behalf. He's taught me the importance of listening deeply. He's taught me the value of a well-timed pat on the back or an unexpected hug in consolation. He's taught me to value all people for exactly who they are and that all people are inherently important and deserve empathy. I wouldn't be a fragment of the person I am today without him, and I'm grateful. These ideas are reflected in my song "Braver," performed above, and in my braver ep released in 2012. I think that, now more than ever, it's important to share his love. What is the Lunar Songs Project? Lunar Songs was conceived in September 2015 when I decided to write and record a song per month for an entire year and, in order to keep myself accountable, distribute those recordings to a group of supporters with background stories and monthly updates. I wanted to reinvigorate my songwriting and embrace playing music again. The project resulted in songs ranging in styles - from Weezer-ific 90's rock, to Bon Iver electro auto-tune, to acoustic ballads - as well as subject matter - from working with undocumented immigrants in Florida, to a character from Netflix's "Stranger Things," to my nephew's first word, "cat." I'm grateful that the project helped me grow in my songwriting and recording abilities, and I'm especially thankful to you for listening, supporting, and sharing. These recordings reflect my progression as both a person and a musician throughout the year. I hope you enjoy listening to them as much as I enjoyed creating them. The album, along with all of my music on Bandcamp, is set at a 'pay what you want' price, but I have a modest goal of donating at least $321, which means that (after Bandcamp's revenue sharing) if only 38 people contribute $10 for the album, the goal can be met handily. Stretch ($642): If the goal is doubled, then I will record/release another EP by the end of May 2017! And my extended gratitude will be heartily delivered. Stretchier ($963): If tripled, then I will record the EP and do a short video series explaining/performing my favorite Lunar Songs. I'll be overwhelmed with your generosity. Stretchiest ($1,284): If we reach this tier, then I will perform at least 3+2+1 (6) concerts this summer in various parts of the country available free to anyone who contributed to this campaign! It's a 'stretchiest' goal, so all those details get ironed out later. Stretchiest-iest ($3,210): I have no idea what I could ever do to thank you for showing such care towards this cause. All of these things will happen, and more. Maybe a mini-documentary. Maybe a full-fledged album. Maybe the start of a revolution for kindness and compassion. Maybe all three at the same time. All I know is I'll be floored with joy. Again, all profits from my Bandcamp sales from now until the end of April will go towards this campaign. I appreciate your generosity!